If multiple accounts are available on a hardware server, just like in a shared hosting or a VPS hosting package, your hosting provider should ensure the performance and security of the server. 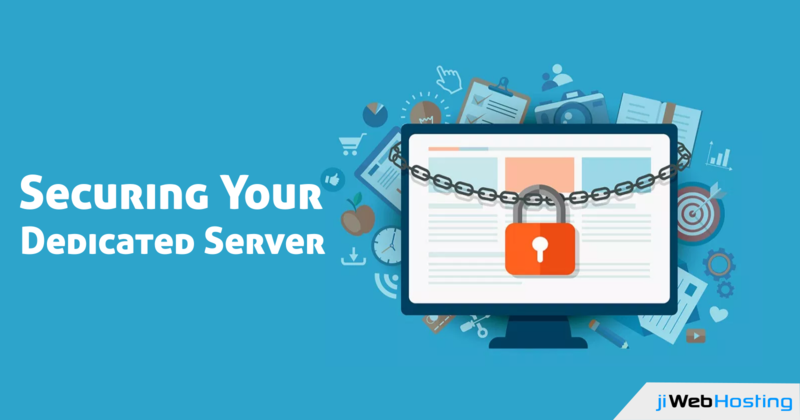 When you choose dedicated server hosting, along with the web hosting company, you also have the responsibility of protecting the server from any kind of sort of online threats and plan on the necessary steps to avoid any kind of security breach. Keeping in mind the end goal to furnish you with a knowledge into the security landscape that surrounds the dedicated server functioning; security threats along with the respective solutions are mentioned in this article. Read on to comprehend the three most common types of security breaches for any dedicated server hosting environment. Some security threats are designed for the purpose of stealing information and encouraging different violations like credit card fraud or black market data sales. However, one common form of online attacks is intended to make somewhat more harm than resulting in the large-scale disruption of your business. If you require a dedicated server, it is apparent that your website has a developing online reputation. With the developing reputation, the result is that your server turns into the primary target for DoS attacks. Ensure that your hosting provider offers with a firewall for blocking the malicious data before it gets to your server. Monitor your server for any signs of unexpected traffic increase. Since a dedicated server empowers the customers to install the desired applications effortlessly, it is prone to malware. Malware consists of numerous kinds of software coded to steal information from your server. This term is utilized for referring to viruses, worms, trojans, and spyware. The functionality of these applications may change but they surely include the recording of every action or replicating the most critical and confidential databases. At times, malware can be combined with legitimate scripts and applications. The web hosting provider should check your website on a regular basis and they must check for unusual advertisements and invisible frames. Consider testing all the software applications on a secure and isolated home device before you upload it to the website. Search for a hosting provider that offers ongoing vulnerability scanning or real-time server monitoring. The cutting-edge hackers have become splendid and sophisticated. They have the backup of advanced tools and technology for destroying your information and your online reputation as well. Many attackers can get into your dedicated server account with the assistance of one of the most effective tools: your password. Unfortunately, many dedicated server owners do not have a strong password. Thus, the hackers can easily get the passwords with or without the help of any software and in this manner, they access the information. Restrict the use of words, terms or phrases that can be found in a dictionary. It’s preferable to have a random combination of upper case and lower case characters and numbers as this makes it extremely difficult for a hacker to get to your password. Do not use the same password for a long period of time. Change the password every two weeks and change it to a completely new combination of characters. The points specified in this article are only three common security concerns present in a dedicated server hosting package. It is essential for you to spend some time researching the latest online security topics. Despite the fact that control and security are two noteworthy selling points for a dedicated server, an excessive amount of control with no experience brings about holes in the security of your server. So as to give an ideal solution to this, jiWebHosting furnishes with full-furnished dedicated hosting services along with exclusive customer service and complete security. Website owners have a choice of choosing from a range of dedicated server hosting services in Australia, UK, USA and many other locations.